The revolution begins within, and this is a step-by-step guide to setting your personal metamorphosis in motion, effective immediately. Lujan Matus reveals here, in clear and accessible language, how to recover your authentic self, using the simplest yet most profoundly useful techniques you could ever apply. Complex processes of socialization distance us from our original essence very early on in our formation. Our socio-cultural inheritance weighs heavily on our intangible self and is reflected in an erosion of trust in our intuitive knowing and a consequent inability to see and do what is truly necessary. This dilemma of conditioning, no matter where we are from and however aware we become of its intricacies, cannot be addressed by merely thinking about it. A complete turnaround is required. Restoring our natural state of inner silence, that elusive axis of enlightenment, is our golden key to personal and collective freedom, and providing a precise and practical way to do that is exactly what this book achieves. Your journey through the Eight Gates of Dreaming Awake will open the door for your primal essence to return to your present moment continuum. 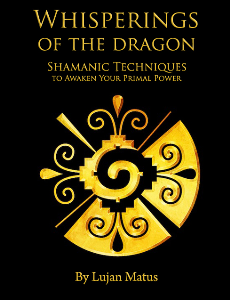 This book delivers ancient shamanic wisdom and quantic insights that allow precious points of arrival to be sustained within the power of one’s omnipresence.